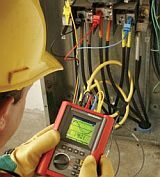 Is your bad power due to poor electrical earthing and wiring? Utility-supplied electricity is not always the cause of all power-related interruptions. In fact, studies indicate that as much as 80% of all power quality problems can be attributed to inadequate building wiring or incorrect electrical earthing to interactions between electrical loads within the premises. While the primary function of electrical earthing is to provide safety for equipment and personnel, proper electrical earthing also provides a path for lightning mitigation and surge mitigation and establishes an equipotential or zero-voltage reference point for the electrical system. In addition, an earthing system is designed to ensure the proper and efficient operation of sensitive electronic equipment.